some people say that even bad publicity is good publicity. they may be right. but we avoid it, anyway. public relations is exceptionally effective at generating new business because it's not a paid method of advertising that consumers can see through. when your business gets publicity for its services, charity work, or events, your brand's message is delivered through the media, making it sound and feel more credible. 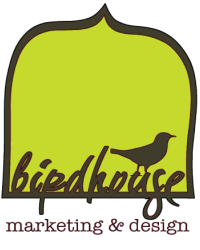 birdhouse marketing and design has an extensive network of media contacts, editors and press members. Based on the industry you're in, and the nature of your news, we can also target and build contact lists for specific sectors of the press. We can't guarantee that your news will make it onto the front page of the globe or be featured on TV, but with us at the helm, you've got a much better chance.